It was the night of a big meeting. We had a ton to go over, I had Masonic education and Worshipful had to go over the all the changes which the Grand Lodge wanted to vote on at the next annual meeting. I was feeling a little guilty, you see I was working a ton on the podcast, writing and of course the day job. I wanted to stay home and hang out with my boys, but I just couldn't. I have three sons and the oldest always asks me about the lodge and about the symbols. I think he will definitely become a Brother some day. The other two boys are a little younger. They know when they see the Square and Compasses, that it means "Freemasons". I was feeling guilty, so I did the best thing I could think of, I created a Masonic treasure hunt in the house. I made a map on construction paper on which I drew a map, wrote out clues, drew some pictures and even put a few Masonically themed items on it. Since there are three of them, I declared that the search would be for the "Ancient Bubble-Gum of the Select Masters" which was hidden in an "Ark" hidden in the "Secret Core". I sent them all over the house, giving clues to items and places. For instance, the first place they were to find was the "...the door which only height can open." This is the door to the basement which has a shiny sliding lock which is six feet high on the door. While I was at my meeting discussing the ins and outs of the amendments to codes, discussing circumambulation and talking about the need to adhere to the 6 month rule in regards to a petitioner, they (my sons) were embarking on "the most exciting adventure ever" according to my middle son. When they finally got to the second to last clue, which was "...the fallen ranger points the way to the Secret Core", they had to find the spot where a splayed out pink "Power Ranger" action figure's hand was pointing to. It was pointing to a white box tucked neatly under the stairs which had the words "Secret Core" on it. Of course the box was just old packaging for a work out system, but they didn't notice that at all. They ran over to the box, climbed up on all the other junk we keep under the stairs and pulled out the box. The three of them looked at each other and the oldest opens the cardboard "Secret Core" box. Inside was a small "Ark" I built out of balsa wood some time ago. I had engraved some Masonic symbols on it which made it pretty special to the boys. Before they were allowed to open the "Ark" they had to utter the sacred words, which some of you may recognize from "The Day The Earth Stood Still", an old black and white sic-fi movie from 1951, (which I love by the way), "Klaatu Barada Nikto". They all read the words of the paper and said them in unity. My wife told me it was really "cute". At that point they opened the "Ark" carefully and beheld three unwrapped pieces of the sugariest bubble-gum I could find. The final words on the map "...Brave Select Masters, Chew Wisely". I have to write. It’s not so much something I want to do as need to do in order to be fully human. I’m perfectly capable of sitting on my couch, watching recordings of “Restaurant Impossible” and eating ramen, but I don’t like myself much when I do that, so I write. This blog has provided an outlet for it, and I’m grateful, because I recently finished writing a book I’d spent a couple of years on, and the idea of having to come up with a new huge project makes me tired, especially since the semester just started and I have students to teach and papers and tests to grade. So writing short pieces as the mood strikes, with the knowledge that they’ll find an audience, satisfies my writing jones until the next project presents itself. The book I just finished, Daily Influences: Meditation for Servant Leaders, grew out of my experiences as Leadership Development chairman for the Grand Lodge of Illinois. I’ve learned over the last few years that positive leadership is not something that’s necessarily based on talent, although talent helps. What matters is a person’s character. A person with bad character can be a very effective leader, but bad character begets bad results. A leader with good character who is equally effective will achieve positive results. Growing as a positive leader doesn’t happen overnight, and it’s not something we can do in fits and starts: it’s a daily effort. My book is designed to kick start that effort every day. I’m pretty busy, so finding time to write was a challenge, but I finally settled into the habit of writing every morning. I didn’t work on the book every day, as I had other things to write too, and I had nine days over the course of a year when I didn’t write, and most of those were when I was on vacation with my family. What mattered was not the amount of writing: it was the habit of writing. Every day, I got up, sat down at the computer, and worked. And it is work. Thinking out what I want to say and how I want to say it is effortful in the best sense of the word. I’ve found, however, that most people don’t look at writing that way. I’ve been a teacher for nearly thirty years, and have taught writing in some form for most of that time, and I’ve discovered that a lot of my students find writing to be a mysterious and fearful process. They avoid it even when they have to do it, and then bang out some words that meet the minimum required by an assignment, print it up, turn it in, and forget about it. They think writing is a product of words put together to satisfy a form. “How long does it have to be?” they ask. “Long enough to say what you need to say,” I reply. The good writers among them understand that, and start early, drafting and redrafting until they’re satisfied. Most of them, though, have been rewarded for big words, complicated sentences, and passive voice. They write in what Richard Lanham calls “The Official Style,” full of prepositional phrase strings, passive voice, and inexact but inflated words. It’s a nice way for a writer to give the appearance of having said something without actually taking responsibility for it. But writing is a form of thought, and unclear writing reflects unclear thought. I work out what I think by writing about it, and in that I’m not alone. H.L. Mencken was once asked what he thought about an issue, and replied, “How would I know? I haven’t written about it yet.” Writing forces me to sit down and wrestle with ideas, figure out where my logic fails, see which thoughts I need to develop more fully, and finally come to some conclusion I’m willing to stand by. It requires me to respond to things, rather than just react, because reacting has no thought involved. If I react, it’s a matter of instinct, rather than volition. To respond requires active thought that leads to a conscious choice. My students often use “I feel” rather than “I think” for two reasons: first, because they don’t know the difference; and, second, because you can’t argue with feelings. It’s an unconscious way of avoiding responsibility for what they say. I used to do the same thing, but now I seek to write on purpose, to choose words for their meaning and sound, and to build them into sentences and paragraphs that will bear real weight. I began to be a writer instead of a typist when I saw the English sentence as a noble creation. The late Eudora Welty said it best in her memoir, One Writer’s Beginnings: “I could see the achieved sentence finally standing there, as real, intact and built to stay as the Mississippi State Capitol at the top of my street, where I could walk through it on my way to school and hear underfoot the echo of its marble floor and over me the bell of its rotunda.” The achieved sentence is something I aspire to every time I sit down at the computer or pick up a pen. I sit, and think, and struggle for words. Sometimes they come easily, and sometimes I write three and erase four in an hour. But I’ll keep at it, and hope, when it’s time to stop for the moment, that I’ll have achieved something that’s built to stay. So to the readers of this blog, I say “thank you.” If what I do here provides you with something you value, I am truly grateful you found it so. If not, perhaps my blogmates’ work will strike a chord. In either case, I’ll keep writing. I have to. R.W.B. Michael H. Shirley is Assistant Area Deputy Grand Master for the Eastern Area for the Grand Lodge of Illinois A.F. & A.M, as well as a Certified Lodge Instructor and Leadership Development Chairman for the Grand Lodge of Illinois. A Past Master and Life Member of Tuscola Lodge No. 332, a plural member of Island City Lodge No. 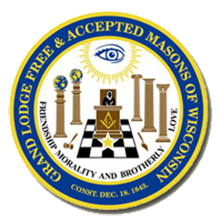 330, F & AM, in Minocqua Wisconsin and he is also a member of the Illinois Lodge of Research, the Scottish Rite, the York Rite, Eastern Star, and the Tall Cedars of Lebanon. The author of several articles on British history, he teaches at Eastern Illinois University. Lodge No. 22 in Virginia. This book is a riveting review of Freemasonry in the United States today. Hammer takes on the issues that the craft faces in a direct manner including; ritual, distractions - other Masonic bodies, dress, the festive board, the pursuit of excellence etc. In all of the issues that he addresses, he advocates that Masons should work with a higher determination to make the Craft all that it is capable of being. Hammer doesn’t pretend that his pathway is the only way for Freemasonry, but rather one of the many that Freemasonry can be practiced with. I seem to think he is challenging us to consider the origins and true purpose of the craft, to set our aspirations and goals at a much higher standard than many lodges practice today. This book serves as a guide for a Masonic revitalization of your lodge. Be prepared to have your notions of what Freemasonry can be challenged and thus in turn, to challenge yourself to a commitment of self-improvement of the individual and Freemasonry as a whole. 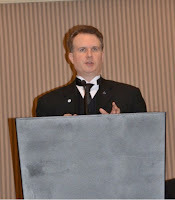 I had the privilege to hear WB Hammer speak at the 2013 banquet of The Masonic Society during Masonic Week. Just as in his writings, as a speaker he does not disappoint. 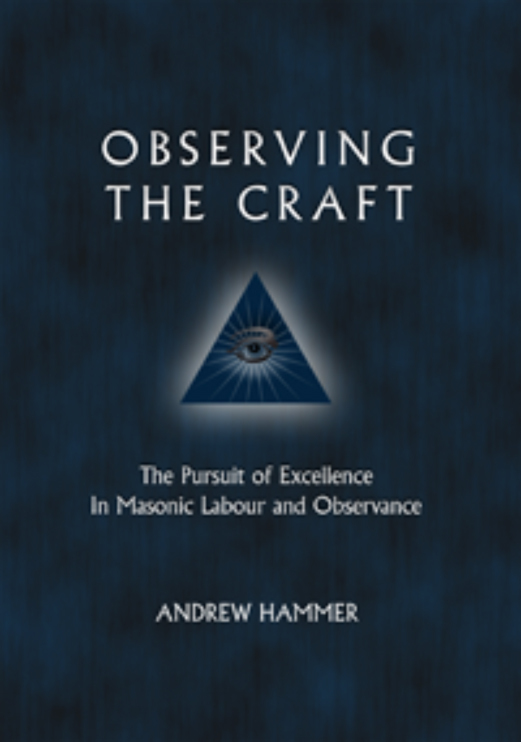 More information on Observing the Craft may be obtained at WB Hammer’s website observingthecraft.com and his book can be ordered through Amazon. 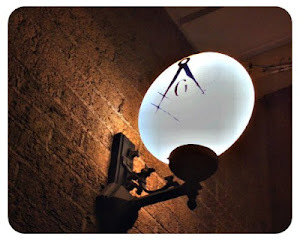 The Midnight Freemasons Blog page has grown by leaps and bounds. At this time we would like to announce the eleventh regular contributor to the Midnight Freemasons. Brother Bill Hosler, PM was made a Master Mason in 2002 in Three Rivers Lodge #733 in Indiana. 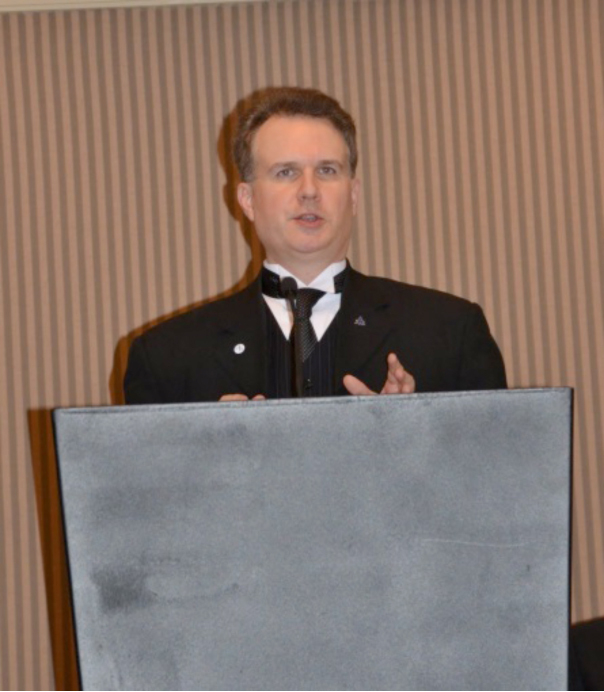 He served them as Master in 2007 and became a member of the internet committee for Indiana's Grand Lodge. Bill is currently a member of Roff Lodge #169 in Roff Oklahoma and Lebanon Lodge #837 in Frisco,Texas. Bill is also a member of the Valley of Fort Wayne Ancient Accepted Scottish Rite in Indiana. A typical active Freemason, Bill also served as the High Priest of Fort Wayne's Chapter of the York Rite #19 and was commander of of the Fort Wayne Commandery #4 of the Knight Templar. During all this he also served as the webmaster and magazine editor for the Mizpah Shrine in Fort Wayne Indiana. calling himself "HERBERT SYDNEY," professing to hail from Langthorne Lodge, Stratford, Essex, England is an IMPOSTER. Information has been received from Langthorne Lodge that no such person is known there. DESCRIPTION. Height about 5 feet 6 or 7 inches: complexion dark: black hair and eyes: bald patch on top of head; hair somewhat thin: black mustache. Professes to be a portrait painter, and ruined by the fire at St. John's, Canada, in June 1876. Reports from Masonic Lodge at St. John's, say that no portrait painter of that name ever lived there, but there had been one named Sydney Herbert Gadsen. The Fraternity is hereby warned against this person, and is furthermore advised to have him arrested, if possible, for obtaining, or attempting to obtain money under false pretenses. He was in Baltimore about a month ago, and succeeded in swindling the Fraternity to a small extent. He then went to Washington, DC. He is believed to be now tramping about, victimizing Masonic Lodges, and the St. Georges Societies. ALBERT LYMAN., M. D., Secretary. The 50 Year Member: Part Two - What Come You Here To Do? The 50 year member was sitting in his seat in the lodge room waiting for lodge to open. He had a nice dinner and conversation with his Brethren and was in a good mood as the younger guys sat the room up so they could open lodge. As the 50 year member was sitting there Pudge walked into the room and sat next to him. Pudge was quiet also but he had a worried look on his face. “How’s it going Pudge?” the 50 year member asked. “It looks like you have the weight of the world on your shoulders.” Pudge smiles and says “It isn’t that bad. I just have to make a decision to make and I am not sure which way to go.” The 50 year member felt for the young man. Recently Pudge had been coming to his house and helping him learn the computer and access the internet. He and Pudge had very little in common except Masonry. There was a difference of 50 years in their ages and their world views was so far apart but with even with all the differences between them there was a friendship that had began to build between them with all the time they were spending together. “The night I was raised a few months ago I was presented with several petitions for other Masonic organizations.” Pudge said “I keep telling the Brothers I’m thinking about it but I’m not sure if I am ready to join anything else.” The old man smiled. He could remember the same thing happening to him when he joined so many years ago. Back then it was common to join other Masonic organizations after becoming a Master Mason. Lodges were so busy back then sometimes you couldn’t become an officer of the lodge for several years after joining because there was a line of men waiting to go through the chairs. Heck, sometimes there was a last minute scramble to find enough chairs to accommodate all the Brethren who wanted to attend degree work! Over the years The 50 year member had sit in the East of several bodies and was an officer of the local Scottish Rite valley before he was able to take his turn in the Oriental chair of the lodge. All that changed in the late 70’s as some of the older members passed away. The numbers attending meetings got smaller and it became normal for men to go through the chairs two or three times. Our sons weren’t interested in Masonry because of their counter culture and never joined so all of the Brethren got older and every year the numbers attending meetings continued to dwindle. Not only did the number of members in lodge get smaller but they also did in the other Masonic bodies. Since then each new member became fodder to keep their bodies alive. One of the younger men he knew was an dais officer in all three York Rite bodies and an officer of his lodge. This Brother was constantly trying to learn multiple pieces of ritual at the same time while trying to work and spend time with his family. Several times he had heard this younger Brother talking about this issue. He wanted to step down from several positions but hesitated because if he quit there was a chance that the bodies wouldn’t be able to open because they wouldn’t have enough members to open. The 50 year member continued “Masonic charity has been a pillar in our fraternity since time in memorial. There are countless stories on how a man would risk his life to help a Brother who was in harm’s way. It knows no boundaries of state or country. On the surface, at least, this short essay has nothing to do with Masonry. But it is a reminder that, as the Craft reminds us daily, life is a fragile thing. There are many men who are Masons in their heart, but who never petition for degrees. Tony is one of them. I wasn't doing anything notable when the text came through. "Check Facebook if you can," my wife said. "Tony has cancer." I did. A friend of ours, too young to be called an old friend, really, had just learned he had colon and liver cancer. He and his wife, whom we'd known just as long, had told their girls, the youngest in pre-school. The girls were ok, they said. Just pray. Please. Pray for us. That's one thing they don't need to worry about. We'd met at the University of Illinois, when Deb and I were both grad students and Tony and Alex were undergrads. Tony, Alex, and I were in choirs together, and Deb was part of the Newman Center crowd. Along with many other friends, we'd sung, prayed, laughed, and been young together, although I was the old man of the group. We loved one another, with unconditional acceptance. Still do. We're scattered now, changed, with kids, careers, and stay in touch sporadically, keeping track by Facebook and texts. And now this. I'm a cancer survivor, and I know how frightening it is. Mine was relatively mild, caught early, and cured. But I know what that feeling is like, to face the possibility of leaving everything you love, with dreams and hopes unfinished. My friends and family prayed for me, but I'm not enough of an egotist to think God took special notice and said, "those prayers are good ones. A cure it is." I do know that friends mattered. Their prayers, their love, were important. They still are. It's too early to know anything. It's too early to do anything but pray and be there if we're needed for anything more. It's too early for this to be anything other than shocking for all of us who know them and love them. So we'll love them, and pray for them, and hope they know we will be there for anything they need. All of us. Always. I got a nice surprise in the mail today. I’ve written before about my visits to Island City Lodge No. 330, F. & A.M., in Minocqua, Wisconsin, near where my family vacations every summer. On my last visit, the Brothers asked me to petition for plural membership, which I did. Petitioning for anything in Masonry requires paperwork, and when two Grand Lodges are involved it can take a while, even when, as in this case, the secretaries and Grand Secretaries are efficient. I’d submitted my petition back in June, and had nearly forgotten about it in all that’s been going on since then, when I opened the mailbox this morning and found my Island City membership card for the ensuing Masonic year. I’m now a member of lodges in two jurisdictions, with rituals that are very different but mean the same thing, and with Brothers I look forward to seeing the year round wherever I am. I looked forward to all that before, but as of today it means something different. Now, when I make my annual pilgrimage north, I’ll no longer be a visitor: I’ll be going home. When you first become a Master Mason, learning ritual is a very different experience. First of all, it's important to learn it word-for-word. Second, it's written in arcane language that hardly rolls off the tongue in the beginning. Third, it's important not only to memorize the words and to be able to recite them, but it's also important that you deliver the words in such a way as to make an impact. It was a major effort for me to learn my first short speech. I learned the words, I worked on being able to say them clearly, and I worked very hard to make sure that I delivered them in a manner that would make an impact on those individuals receiving the degree. And I almost never did it again after the first time. I'd been over those few lines of ritual a hundred times that day, and was feeling very good about it. It was a short paragraph, maybe six or seven sentences. I knew I had it down, and I was pretty happy with my delivery. It was my first time, and I wanted to not only make a impact on the candidate, but on the other Masons in the degree my first time out. It came my time, and I gave the first couple lines, just as I practiced them. After the second line, I paused, just as I practiced, to let the words sink in, and as I started to deliver the next line, three Masons in the degree jumped in with the next line in the ritual before I could say them. When I paused, they thought I was stuck--they didn't realize it was for dramatic effect. It threw me, and of course one of the three had offered the wrong next line. I got confused, and the next four sentences which I'd worked so hard to learn evaporated in my mind. I had three different Masons trying to prompt me clear to the end of my short piece of ritual, and I couldn't hear any of them because they were talking over each other. It turned into a trainwreck. I didn't think it would ever end. It was embarrassing, and afterwards, one of the "helpers" came up to me smiling. "Good thing I was there, huh?" In his mind, he'd saved the day. It was all I could do not so say something. To say I was ticked off would have been an understatement--I'd worked really hard on that short paragraph. I see it all the time. There's a lot of Masons that know the work, and they are always anxious to help out when somebody drops a line. They mean well, but it's not at all helpful when it turns into a free-for-all every time somebody giving ritual takes a breath. Not to mention the fact that it ruins the solemnity of the ritual. I like what my lodge does, and it's a good policy to have. Any time we have degree work, the Master announces in the beginning who the prompter will be, and asks that nobody else in the lodge "help." And the prompter in my lodge (usually me) doesn't offer help unless the person delivering the ritual looks to him for a line. I've done it many, many times now, both in my Lodge and in the Scottish Rite. What I've learned over time, is that more often than not, if somebody gets stuck, if left alone, the line will come to them. If not, a quick glance towards me and they'll receive the aid they need. And it's very rare that I've ever had to prompt anyone. So remember that. Always exercise restraint in offering aid. Very often, offering aid where none is asked causes more harm than good. The 50 year Mason sat in his den watching the beehive of activity surrounding him. he sat in his chair surrounded by boxes, wires and cords laying all over the floor and devices he had never seen and had no clue what they were for. He watched as his grandchildren assembled a computer onto his old writing desk. The kids were talking to each other in jargon that might as well have been a foreign language to him. “I hope they know what they are doing” he thought to himself. His wife had wanted a computer in their house for a long time. She keeps saying “We need to keep up with the times.” and the most important “We can talk to the great grandchildren”. He knew this was important to her. They never got to see the kids since they moved away and he figured there was a yearning inside her to see them on a regular basis. She could talk to them on the phone but it wasn’t a substitute to see their smiling face every day. “Women need stuff like that” he figured. Once the devices were all assembled he gazed upon this new thing on his old desk. All these boxes with what looked like a TV on the desk he had paid the monthly bills on all these years. It was making sounds and lots of little green lights blinking on the little boxes. “Looks like something out of Star Trek” He mumbled. His wife could barely contain her excitement “How do I get on Facebook? She asked her son. “All the girls at the club are on Facebook” she stated. “Oh Brother” he thought to himself but he had been married long enough to know not to say it out loud. His son slowly and patiently began to show his wife how to use the computer and access the internet. That evening Brother Johnson went down to the temple for the lodge’s monthly meeting. During dinner he was talking to his longtime friends and Brothers. It began with the same conversation they had had for the last half century. Lies about their latest fishing trip, the next Shrine ceremonial. It was the same conversation they had over and over. The same old jokes they had been telling each other for years. Sometimes it gets stale but at least he gets to see the guys and catch up with what is going on their lives. The 50 year member was shocked. “And this website brings in members?” Brother Smith started laughing “John where do you think all the young men who have been coming into our lodge have come from in the last few years?” John was shocked. He had thought they came into the lodge like he had. His father had been a Mason on his 21st birthday his mother had given him a petition that morning at breakfast. “Your father can’t give it to you” his mother said “But there isn’t anything that says I can’t.” That’s the way it was done. He went through the degrees and took his place in lodge. “So what else can you find on the internet about Freemasonry?” The 50 year member asked. “About anything you want” the newly obligated Brother responded. “Masonic literature, news from around the world, videos and photographs of events. You can even chat with masons from all over the world. I have made a lot of Masonic friends from all over the world.” The new brother pulled his mobile phone out of his pocket. “Take a look at this” The new Brother said. “This is a video that was taken last month at Grand lodge. It is the installation of our new Grand Master during the public officer installation. It’s been all over Facebook.” The new Brother said”. “Facebook!” The 50 year member exclaimed. “My wife is now on Facebook. Is she looking at this?” “I doubt it” The new Brother said. “Facebook is different for each person who joins it. It is driven by your interests and the people you choose to associate with on the website.” The 50 year members mind was swimming. Not only can you find Freemasonry so easily on the internet but this guy is looking at it on his telephone! He isn’t even using a computer! Maybe the internet isn’t the Devils den he thought it was the 50 year member thought. If men he had known and trusted for years are using it and gaining benefit from it and this young man he was speaking to became a member because of it maybe his wife was right. He did need to keep up with the times. What is the Masonic Society? Like many newly raised Freemasons, I was seeking to learn as much as I could about the fraternity. I spent hours poring over internet sites and reading digitized books of old masonic works. One night I came upon The Masonic Society (TMS). The Masonic Society was just getting started, having been formed by a prominent group of Freemasons from around the world. There were many familiar names such as Christopher Hodapp, Brent Morris, Robert Lomas and Rex Hutchens. The group had developed a website and was inviting perspective members to join. The only requirement was to be a Master Mason within a lodge recognized by the Conference of Grand Masters of North America. I filled out the on-line application and became a Founding Member of The Masonic Society in 2008. What are the benefits of joining such an illustrious group? 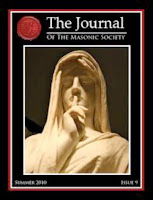 Your membership fee includes one of the finest Masonic Journals in existence today – The Journal of the Masonic Society. 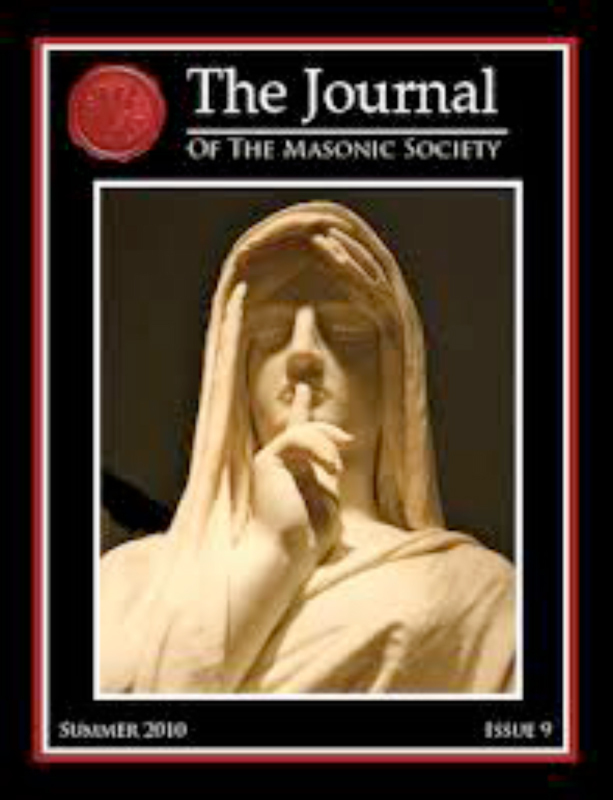 This journal features original written articles on the history of freemasonry, masonic philosophy, news from happenings in the craft, etc. The current Editor is Michael Halleran who follows Christopher Hodapp, who retired earlier this year. Additionally you qualify to join the on-line TMS forum. This forum contains a wealth of information that has been contributed by some of the most active brothers in Freemasonry today. Have a question? Put up a post and you will have your questions answered shortly. TMS holds an annual meeting at Masonic Week and their hospitality room is the place to be to meet brethren from around the world. The conversations are excellent and the drinks aren’t too bad also. 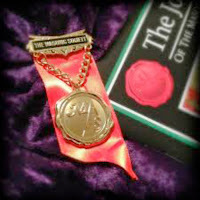 TMS is now celebrating their fifth year and as a special gift to new members, TMS is offering a special fifth anniversary jewel. This jewel was designed by John Bridegroom, who creates amazing masonic works. I am extremely proud to be a part of this group of Brothers. The knowledge I have gained has been invaluable in learning more about the craft. Find The Masonic Society on the net at www.themasonicsociety.com, you will be glad you joined. Born in Virginia in 1752, George Rogers Clark spent his early boyhood on a farm just a few miles from Thomas Jefferson's Monticello. At the age of 20, he moved to Kentucky where he garnered a reputation as a military leader. He began his career as an Indian fighter and later in life gained the friendship and respect of the Native Americans who had been his former enemies. He is considered a hero of the American Revolution, where the greatest of his accomplishments was to capture the British-held forts of Kaskaskia, Cahokia, and Vincennes. After his military service ended, Clark received 150,000 acres of land for his contribution to the war, but he struggled to maintain it. Unsuccessful at this, he lost most of the land and opened a small gristmill in Clarksville, Indiana, which provided a moderate income. In 1805, he was named to the board of directors of the Indiana Canal Company, whose mission was to build a canal around the nearby Falls of the Ohio River. His good fortune at obtaining this position didn't last long. Two of the other directors, including Vice President Aaron Burr, illegally plotted to seize Louisiana from Spain in order to open the Mississippi River to Americans. In the process, $2.5 million of the company's money ($65 million in today's dollars) turned up missing. Clark was not involved. Burr and the other director, Davis Floyd, were arrested for treason and the Indiana Canal Company folded. A grisly incident in 1809 turned Clark into an invalid for the remainder of his life. Age 57 at the time, he suffered a stroke and fell into an open fireplace. He was unable to move and his leg burned so badly it required removal. When his doctor performed the amputation, the only "anesthetic" Clark received was music from a fife and drum corps playing in the background. Clark lived with the crippling effects of the stroke and amputation until his death in 1818. 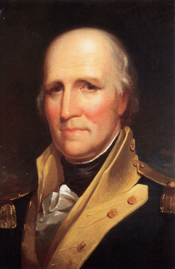 Like his famous brother William (of Lewis and Clark fame), George Rogers Clark was a Freemason. Although his original Lodge is unknown, Abraham Lodge #8, Louisville, conducted his Masonic funeral. Labor Day & Freemasonry: Is There a Connection? So who started Labor Day? Well, the answer can not be definitively answered. There are two men who are credited with its creation. Peter McGuire and Mathew Maguire were both labor leaders and worked for the rights of workers. Peter was a carpenter and Mathew a machinist.